Tymaen Picnic Site & Car Park at Afan Forest Park (NRW)01639 850564workPicnic SiteA medium sized car park and picnic area set back from the main road and sheltered by mature trees. This car park is closed at 5pm. 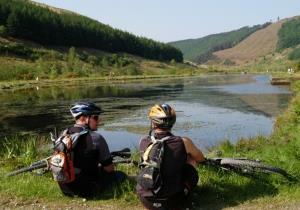 It is a five minute walk from the Afan Argoed Countryside Centre. As well as parking for about 20 cars, Tymaen also has barbeque and picnic areas, and a small grassy glade near to the parking area. It is an alternative start point for the orienteering course and offers access to the network of forest tracks and to the green and brown waymarked walking routes. A medium sized car park and picnic area set back from the main road and sheltered by mature trees. This car park is closed at 5pm.